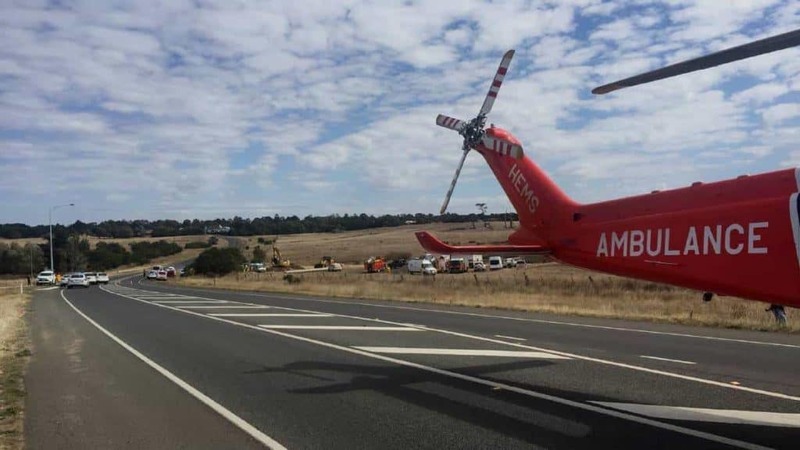 To avoid the tragic incident that took place in the Ballarat suburb of Delacombe where 2 men lost their lives after an unnecessary trench collapse, workers need proper supervision and training. A white card qualification is a great start. A trench collapse occurs when its walls fail to contain the pressure of the tones of soil pressing on it. Thats why it’s critical to implement the correct safety equipment when digging and working in a trench. A civil construction company has been charged by WorkSafe Victoria in relation to these deaths. Failing to maintain battering or benching of the excavation and to use trench shields and manhole cages to protect the workers from the risk of engulfment. Failing to provide supervision to ensure its employees did not perform work in the trench without battering, benching, trench shields or manhole cages. This involves digging the trench walls at an angle from the opening so that soil weight is away from the workers. The trench will have a funnel shape when its finished. Its also important to make sure that the extra soil is placed 2m from the trench wall. This help prevent a trench collapse. Shoring is when metal plates are placed on either side of the trench. Walls are kept in place with spacers matching the trench width or using a hydraulic system. Hydraulics can provide constant even pressure on the walls to prevent trench collapse. Even with the safety precautions of today’s modern construction firms, trench work has the potential to be extremely hazardous. Shielding uses all 4 sides of the trench and thats why a trench box is an excellent way to stabilise the trench and keep workers safe. Depending on location and main purpose, these trench boxes may also be known as sewer boxes, manhole boxes, trench shields, or tap boxes. They can be permanent or portable as the trench work expands. They are made of steel or aluminium providing a strong framework to prevent trench collapse. The more training you receive, the better your chances of not being injured. That’s generally how it works. Getting your White Card from COVE Training is the first step on your road to becoming a construction master. Call us today on (03) 8773 9000 or visit us online to learn more about all of the programs we offer and find out how you can become a leader in your industry.